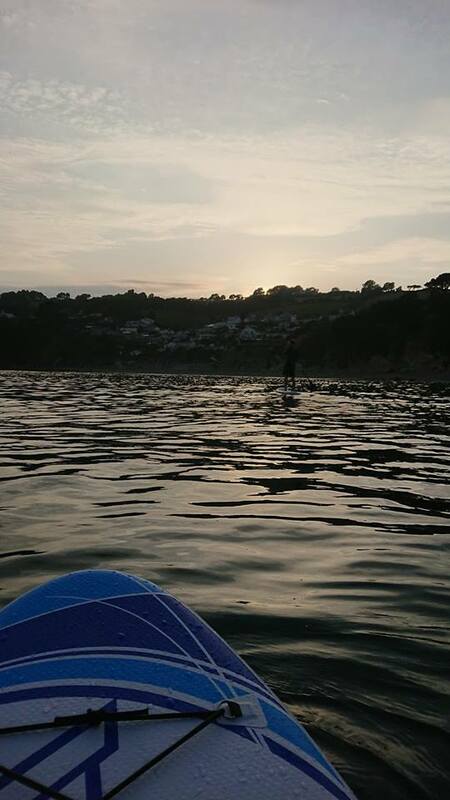 We have got 6 brand new inflatable Stand-Up paddle boards (SUPs) available for our guests to use – perfect for the calm South-coast waters! 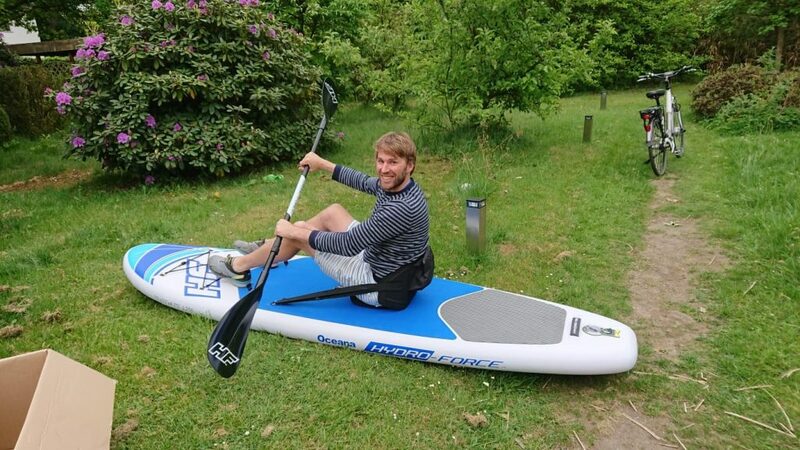 They can also be used as sturdy kayaks with back supports and paddle attachments (as modelled by Dennis below). 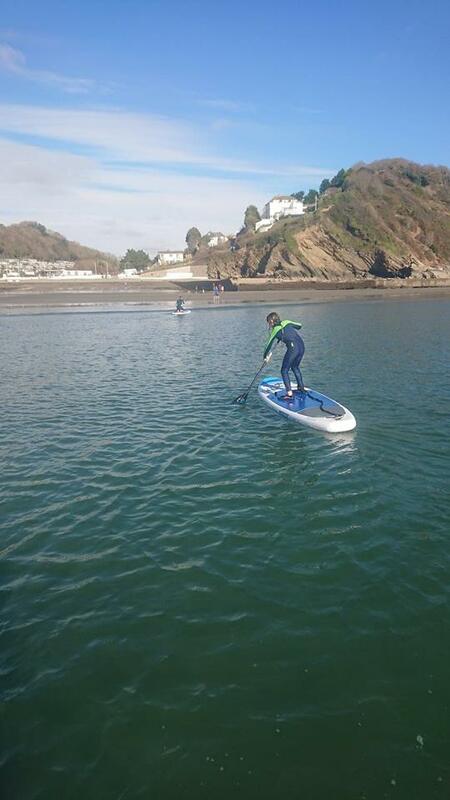 Paddle boarding is one the fastest growing sport in the world becoming more and more accessible for holiday makers. 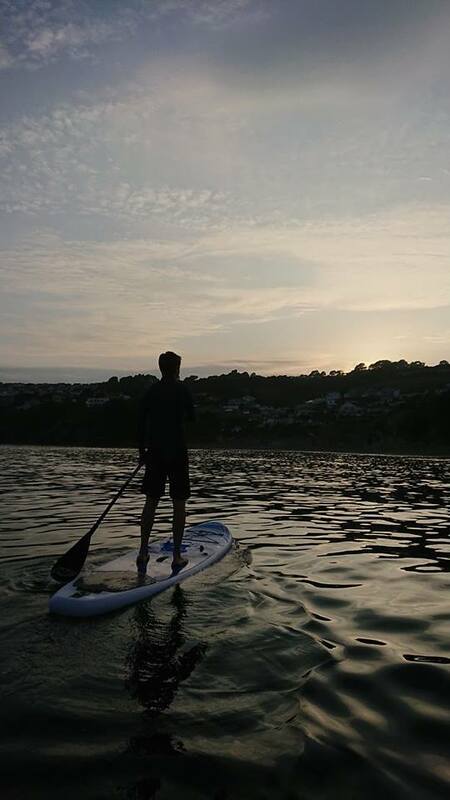 With its calm waters and stunning coastline the south coast of Cornwall is the perfect place to give it a go. 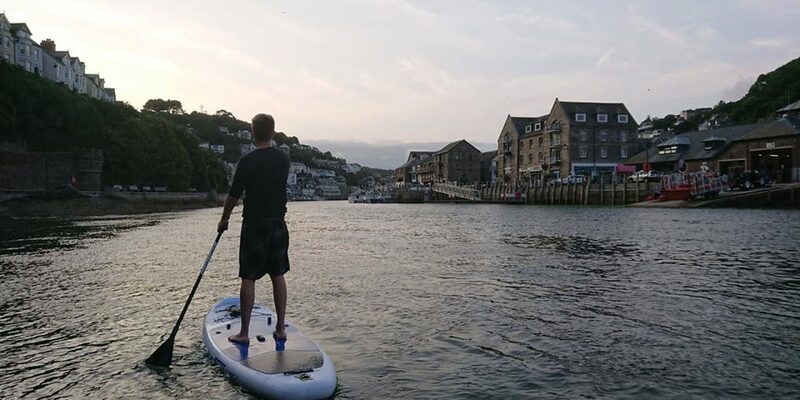 Whether you just want to play around in the water or go for a little trip to Looe for some food in The Old Sail Loft or The Plough On The Key, our paddle boards are perfect for either occasion. 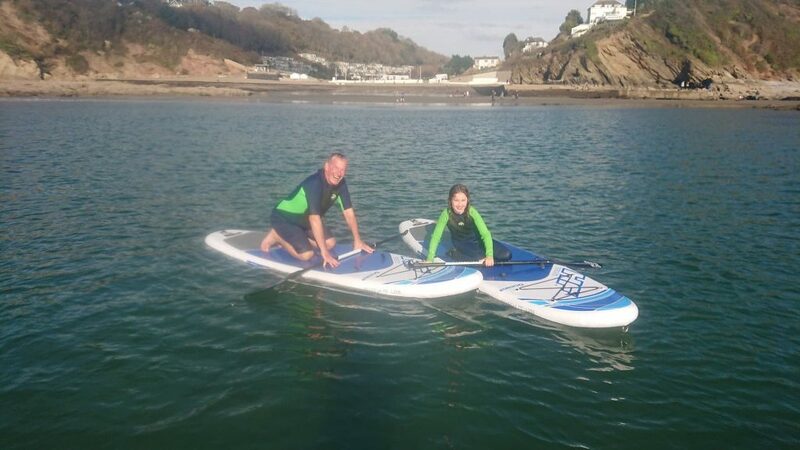 If you are new to paddle boarding or need to refresh your skills a little, we also offer group paddle boarding adventures to Looe, Seaton or through the stunning Looe Valley. 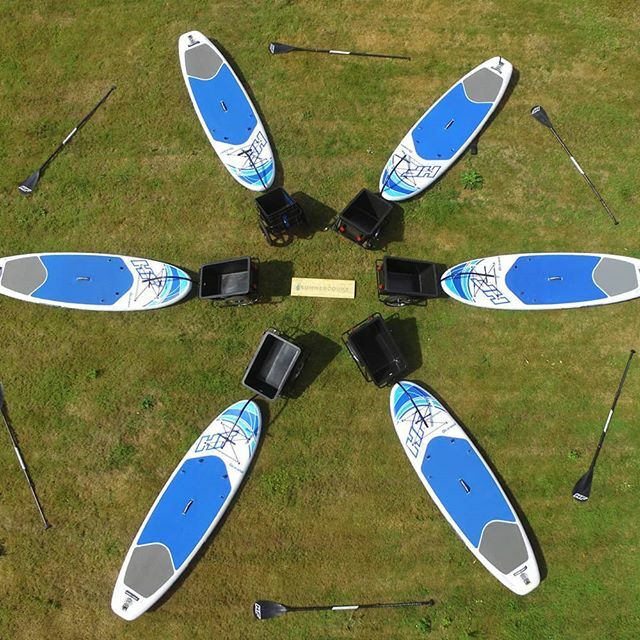 Click here to find out more about hire prices or for more information about the tours and how to book please get in touch with us via e-mail or phone. Gerne beantworten wir Ihre Anfragen auch auf deutsch – sollten die englischen Vokabeln vor dem Urlaub noch nicht ganz sitzen.